Are You Suffering From Complications Caused by Hernia Mesh? If you or a loved one has been injured after a hernia mesh product has been surgically implanted, you may be eligible to receive compensation for your injuries. A hernia is a fairly common problem which can affect men, women and children. It occurs when an internal organ or tissue pushes through a weakened area of muscle. The combination of a weak muscle and straining, such as when lifting a heavy object, can cause or contribute to a hernia. Most hernias occur in the abdomen or intestine. Symptoms may include a bulge in the location of the hernia, swelling, and/or pain. However, there are some cases in which the hernia is asymptomatic. The most common treatment is surgery to repair the opening in the wall of the muscle, since untreated hernias can lead to pain and other complications. Between 2004 and 2016, many patients with hernias were treated by having hernia mesh surgically implanted to repair the hernia. However, many of these patients subsequently discovered that the mesh used was defective and was causing them additional side effects and complications, such as adhesions, infections, a reoccurrence of the hernia, migration (movement) of the mesh affecting other organs, pain and swelling. As a result, many of these individuals had to undergo additional surgeries to have the hernia mesh removed and to treat the other problems caused by the defective mesh. Suthers Law Firm is currently investigating hernia mesh products that have been linked to severe complications. These hernia mesh products include Johnson & Johnson's Ethicon Physiomesh Flexible Composite, Atrium's C-Qur, and several products manufactured by C.R. Bard. The Bard hernia mesh products we are investigating include the Bard 3DMax Mesh, Sepramesh IP Composite and the Ventralex ST Hernia Patch, all of which were made of Marlex HGX-030-01 grade polypropylene, a material that was not designed for use in permanent medical implants. 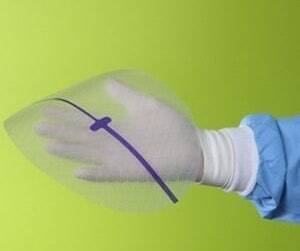 If you do not know the manufacturer or type of mesh your surgeon implanted in you, contact Suthers Law Firm or the hospital where the surgery took place, or ask your doctor. In May of 2016, Johnson & Johnson, the parent corporation of Ethicon, recalled Ethicon’s Physiomesh product. Ethicon issued an Urgent Field Safety Notice to healthcare providers dated May 25, 2016, in which the company said it was recalling the mesh after reviewing a pair of studies that took place in Europe that revealed a higher failure rate of Ethicon’s Physiomesh compared to other, similar products used to repair hernias. Ethicon’s product had been first approved in 2010 under a Food and Drug Administration process known as 510(k). This is a process in which the manufacturer claims that its product is substantially equivalent to other similar products which were previously approved by the FDA. By proceeding this way, the manufacturer is able to avoid stringent FDA review of its product and does not have to conduct clinical trials to evaluate the product’s safety before it is placed on the market. Like other mesh products, the base layer of Physiomesh is polypropylene, a permanent plastic material. However, the manufacturer chose to coat the mesh layer on both sides with films that are intended to degrade, but which are capable of remaining in the body for a significant period of time. The film or coating is capable of causing inflammation and pain, and preventing the body from properly receiving and incorporating the mesh. This, in turn, can lead to other injuries to the patient, including adhesions, infections, bowel obstruction, sepsis and hernia recurrence. Recently, two lawsuits were filed against Johnson & Johnson and Ethicon by women who had suffered injuries after being surgically implanted with allegedly defective Physiomesh for the repair of hernias. The plaintiff in one of the cases is a resident of Georgia. After she experienced complications, including severe pain and nausea, she had to under a second surgery in 2016 to have the Physiomesh removed. Plaintiff alleged in the lawsuit that during the second surgical procedure, her surgeon discovered that the Physiomesh product had torn and her intestines had protruded through the tear in the product. In a more recent development, lawsuits involving complications arising from one of the surgical mesh implants used to treat hernias has been consolidated as multidistrict litigation (MDL) and will be adjudicated in the United States District Court for the Northern District of Georgia. The U.S. Judicial Panel on Multidistrict Litigation issued the transfer order in In Re: Ethicon Physiomesh Flexible Composite Hernia Mesh, assigning the case to veteran U.S. District Judge Richard Story. When lawsuits involve things like dangerous medical products, and other complex issues affecting large numbers of people, the federal court system sometimes uses the MDL process to better manage the cases. In a MDL, a large number of civil cases that have a common issue are transferred to a single U.S. District Court. That court then handles all discovery and pretrial proceedings for the lawsuits. The goal of MDL is to conserve resources, promote consistent court rulings on evidentiary issues that are common to all of the cases, and in theory, speed up the litigation process. If a case does not settle during MDL, or is not dismissed during MDL, it is sent back to the original court for trial. The defective medical product attorneys at Suthers Law Firm have the requisite experience and resources to handle these complex medical product cases. We have litigated successfully other cases involving defective medical products, such as metal-on-metal hip implants, transvaginal mesh, and gadolinium dye, all of which were pending in MDL courts across the United States. If you or a loved one have suffered serious side effects and have had to undergo additional surgery after being implanted with one of the above-referenced hernia mesh products, contact the Georgia hernia mesh attorneys at Suthers Law Firm by e-mail or call us toll-free at 1.800.320.2384 for a free consultation.